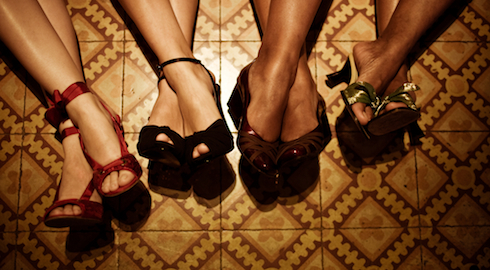 One afternoon in Havana, in July of 1991, a social gathering was held at the residence of the Cuban composer Marta Valdés... one of the guests, Ms. Elena Burke, upon hearing Odette sing, approached her and said: "That was really nice, but how about finding three more female vocalists and creating a quartet?" 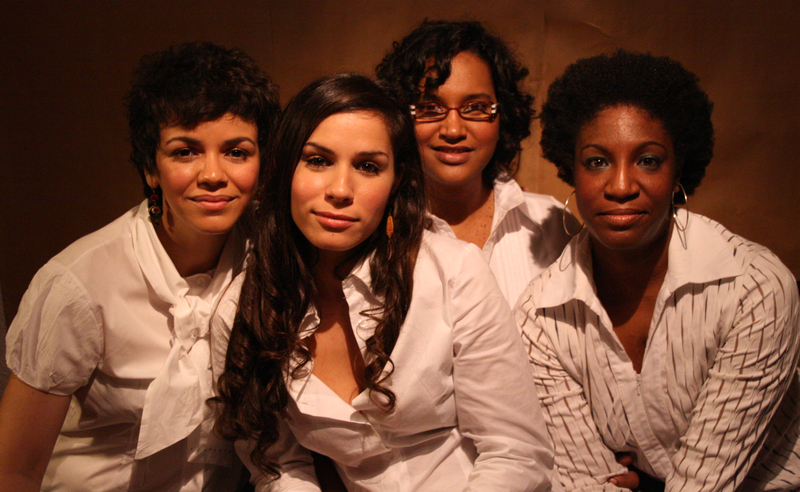 In Cuba, a country with a long tradition of voice quartets, Elena missed the years when the sound of such groups seemed to be heard from everywhere; quartets such as Meme Solís (a mixed group), Los Zafiros (a male vocalist group), las D'aida (a female quartet composed of Elena Burke herself, along with other singers such as Haydé, Omara Portuondo and Moraima Secada and furthermore directed by the pianist and arranger Ms. Aida Diestro), and so many others whose song filled the warm night air, after hours on the island of Cuba. One week later, Odette reunited with the same group of guests as before, again at the residence of Marta, the composer, this time accompanied by three contraltos named Estela, Damaris and Laura. Together, they sang an a capella version of the songs "Evocación" by Tania Castellanos and "La Mujer de Antonio" by Miguel Matamoros. When they were finished, those present burst into enthusiastic applause. Everywhere in the room people could be heard asking one another, "Who are those girls... what's the name of their group?" The four young ladies looked at each other almost with embarrassment and stammered in their attempt to offer an explanation: "....we've only been arranging our repertoire for barely a week, enough time to rehearse but not enough time to really come up with a name...". Almost at once Elena spoke up: "I'll give them a name, this group will be called the Four Gems (or Las Cuatro Gemas), first of all seeing as to how they make up a total of four jewels of the Cuban music scene, and second of all because that's what I feel they should be called...."
A few days after that, Elena formally introduced them on the anniversary celebration marking 50 years of her long artistic career; a concert which was held at the Mella Theatre in Havana. The four band members, now known as Gema 4, specialized throughout their extensive training in singing, choir directing and musicology. From the time they were very young, they sang regularly in the choir at the music conservatory where they studied. This was where they received their first inspiration to do something different. The idea they had was that of bringing back old songs along with a few forgotten genres which the youth of the time either no longer listened to or had little knowledge of, and then performing it all a capella. They paid particularly close attention to Bolero, to another genre known as 'Feeling' which they were close to along with traditional songs associated with the genre known as 'Són'. In 1994, the quartet recorded their first album titled, "Grandes Boleros a Capella", rated 5 stars by the cult magazine "Le Monde de la Musique". The year 1996 saw the release of "Te Voy a Dar" and which received the prestigious EGREM music award, shared with another album of Cuban music titled "Una Forma Más", released by the Cuban sextet Vocal Sampling. Towards the end of 1998, the quartet settled in Barcelona, a city which, over the years, had come to be like a second home. Throughout its' artistic career, the quartet has shared the stage on an international level with important artists such as Eddie Palmieri, Irakere, Hernán López-Nussa, Celia Cruz, Tito Puente, Vocal Sampling, Ramón Valle, Ibrahím Ferrer and Omara Portuondo. On October 12th, 2004, Estela Guzmán Vega died in Barcelona at 42 years of age after a long bout with pancreatic cancer. The remaining members of the quartet were silent for two years, a period which was to be dedicated to mourning the loss of their friend and healing from said loss, the tragedy of which feels like an injustice even to this day. In the year 2006, the Israeli singer Tal Ben-Ari is invited to join Gema 4 as their new lead vocalist. Gema 4 was once again destined for the stage with its' return in the summer of 2006 whereupon they performed in the closing ceremony of the 1st International Festival of Acapella groups in Barcelona, otherwise known by its' acronym as BACAP.